Renewable energy is energy that is derived from natural processes (e.g. sunlight and wind) that are replenished at a higher rate than they are consumed. Solar, wind, geothermal, hydropower, bio-energy and ocean power are sources of renewable energy. The role of renewables continues to increase in the electricity, heating and cooling and transport sectors. The role of renewable energy is expected to increase significantly over time around the world. Looking back at 2014 for the renewable energy sector, it’s hard not to get bombastic. So many records were broken, corners turned, and with costs declining with innovative technologies around the world, it’s hard not to wonder if 2015 will see renewable energy become nothing more than a fully competitive energy source, capturing more and more market share. Investors have been attracted by the increasing cost effectiveness and low risk of the solar and wind sectors. The chart below shows investments in the renewable energy sector over a period of 10 years. Global generation capacity for solar, wind, and other renewable energy technologies grew 8.5 percent in 2014 over the year before, according to the 10th annual edition of REN21’s Renewables 2015 Global Status Report. REN21 is an international nonprofit association and is based at the United Nations Environment Programme in Paris, France. Key findings of the report are available at REN21. About 135 gigawatts (GW) of added renewable power increased the total worldwide installed capacity to 1,712 GW. The 2014 tally included record installations for solar photovoltaic (PV) systems and wind power. Solar PV capacity has grown from 3.7 GW in 2004 to 177 GW in 2014, and wind power capacity increased from 48 GW in 2004 to 370 GW in 2014. Also, for the first time in four decades, the world economy grew without a parallel rise in CO2 emissions, the report said. This is really a good sign as far as environment is concerned. 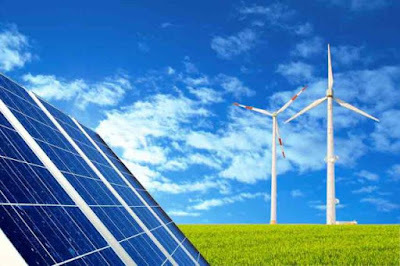 New investment in renewable power and fuels reached at least $270 billion globally, more than twice that of investment in net fossil fuel power capacity, continuing the trend of renewables outpacing fossil fuels in net investment for the fifth year running. By dollars spent, the leading countries for investment were China, the United States, Japan, the United Kingdom, and Germany. Leading countries for investments relative to per-capita gross domestic product were Burundi, Kenya, Honduras, Jordan, and Uruguay. Global power demand today is about 12.5 terawatts, which is likely to grow to 17 terawatts by 2030, the U.S. Energy Department reports. “By 2040, developing economies will have spent $1 trillion on small PV systems, in many cases bringing electricity for the first time to remote villages,” says Jenny Chase, chief solar analyst at Bloomberg New Energy Finance. Her group forecasts that by 2030, new onshore wind and solar energy will be cheaper than new or existing fossil fuel plants.